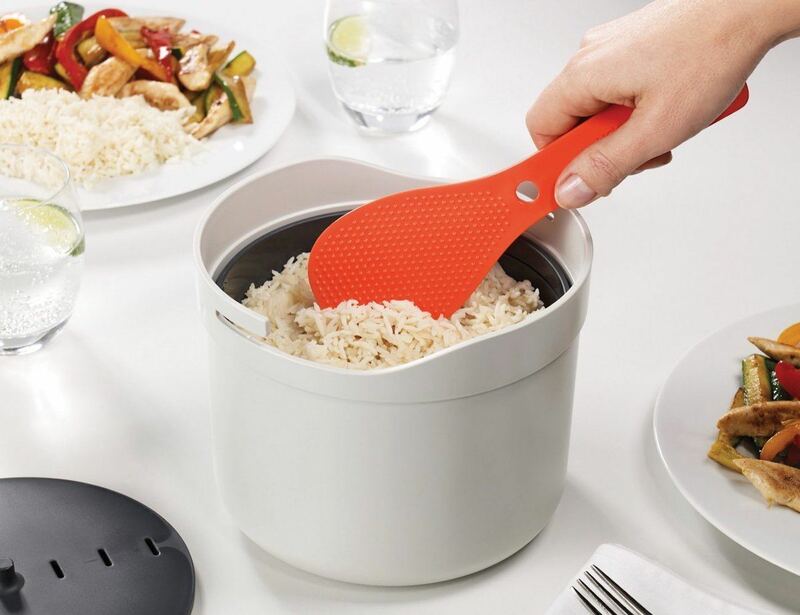 Enjoy the fluffiest rice every time with the M-Cuisine Rice Cooker by Joseph Joseph. 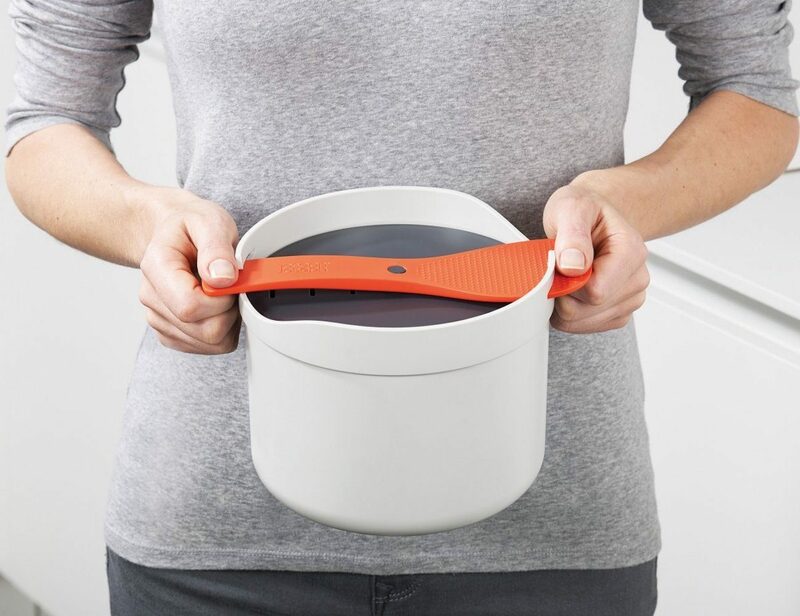 This system is equipped with a two-liter cooking pot and a lid to perfectly cook your rice. 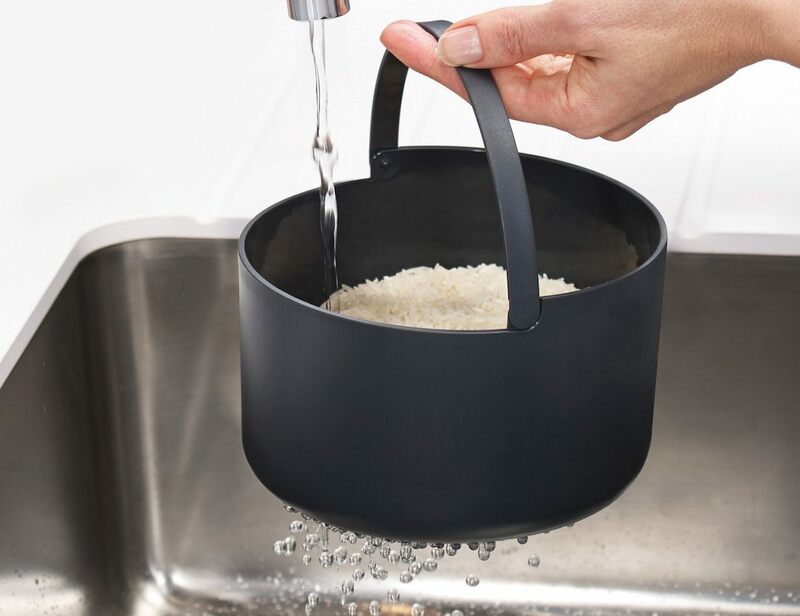 Begin by using the included colander to measure, rinse, and drain the rice. Then, the colander is placed inside the cooking pot and you add the appropriate amount of water. The lid stays locked in place with the included rice paddle which also creates two carry handles. From there, the M-Cuisine Rice Cooker does all the work to cook each grain to perfection right inside your microwave. When the rice is ready, remove the lid and use the included multi-purpose rice paddle to fluff the rice and serve while it’s nice and hot.